On 15 October, Eastern Partnership Civil Society Forum (EaP CSF) contributed to the Eastern Partnership Ministerial Meeting (Foreign Affairs) held in Luxembourg with a strong message from the region – concerning the implementation of 2020 Deliverables, the policy success areas, as well as more worrying developments, especially on corruption, free media and judiciary. Addressing the ministers, Hennadiy Maksak, EaP CSF Ukraine Country Facilitator and Steering Committee member, called for “more active presence” from the EU member states in supporting the EaP policy initiative and taking ENI – European Neighbourhood Instrument out of the proposed NDICI – Neighbourhood, Development and International Cooperation Instrument legislation. The Ministerial was lead by High Representative/Vice-President of the European Commission, Federica Mogherini, as well as Commissioner Johannes Hahn, representing EEAS and DG NEAR, respectively. Echoing the EaP CSF position paper on NDICI and the future of neighbourhood funding, Maksak warned ministers that combining “current 12 EU external action instruments under one roof” sends “a strong negative signal to partners in the region“. Our counter-proposal to draft NDICI legislation is to re-establish ENI, in order to sustain the current system of governance, added Maksak. An “enhanced” ENI would truly allow EU to redress its ambitious agenda, and new challenges ahead – such as security, disinformation and promoting stability and resilience. The cornerstone of any further “deepening” of relations between EU and countries in the region “should be based on respecting core values and democratic principles“, highlighted Maksak, in direct reference to the situation in Azerbaijan and its human rights record. At the same time, EU must not miss its chance in Armenia – where the upcoming elections bring the promise of change and democratic reforms. Transparent, democratic reform is also the message from Georgia, where the government has undertaken the ambitious task of changing legislation, affecting the Prosecutor’s Office and reforming other branches of the judiciary, in favour of making them more independent. Despite important achievements in Belarus, such as the National Human Rights Action Plan and EaP Ministerial Informal Dialogue, which happened last June, the repercussions targeting two notable media outlets show that independent press is a far cry from reality. The situation in Moldova is also worrying – with clear signs of state capture and eroding rule of law. The upcoming elections in February 2019 will be an important test, but the situation must be “monitored closely” – not until Moldova becomes a recipient of EU financial support again. As for Ukraine, more must be done in terms of building effective institutions, tackling corruption. 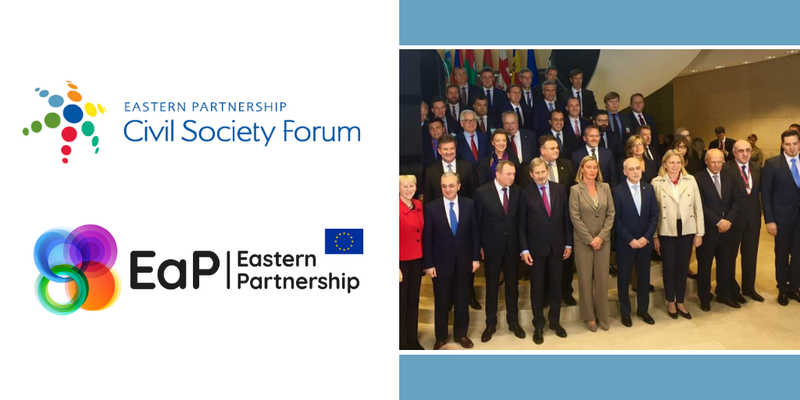 Summing up, the new EaP multilateral architecture, adopted last March – has given civil society a chance to shape the dialogue between EU and its partners in the EaP region. “We are glad that this meeting will take stock of the implementation of the 20 Deliverables for 2020″, concluded Maksak. This question promises to be addressed again at the upcoming EaP CSF 10th Annual Assembly 2018 in Tbilisi, Georgia (10-12 December).